My guesstimate is that 99.9 of all marketers (Yes, even the gurus) tell their customer to Go Away directly after each purchase? Youre probably thinking, What is he talking about, but keep reading and see how You can become one of the first people in the world to use this to your advantage! On every thank you page and download page out there in internet marketingland youre told to go away and download a trial version of winzip to be able to unpack the digital package (delivered as a downloadable zip file) you just bought. I know that most people have some kind of software they use to unzip zip files and that windows XP has that support built in (even though its a bit cumbersome to use). They can use for some repetitive purpose (something almost every person in the world with a PC does every now and then. Some even a number of times every day). Would allow you not only to brand yourself, but brand every site and/or product you have. Its up to you as you would have the power to do it! Would have a built in ad you could change for every site where you give away or sell this product. Would have the built in option (your choice if you want to use it) to open a web page (in the default browser) of your choice each time it is used. Could sense if a specific file was present when the program is used and open it automatically presenting the content for the user. Even when your customer buy from other marketers he normally will have to unzip the package hes bought. Sell it, give it away, bundle it ... Its up to you how you get a copy on every customers computer. My tip is to stop sending your customers away from your thank you/download pages by telling them to go and get a copy of Winzip (telling them to leave your site without earning money from it is just plain bad business) and give them a copy of Zip2profit instead! The Main Ad. The big blue text above will capture the users eye each and every time they use the program. This text can be made inviting and click friendly by using commonly known ad copy techniques. The built in url you decide will take the user to your url of choice where you can use signup pages, squeeze pages and special offers to keep profiting day after day without lifting a finger! Top One Line Ad. Used for a more general message like call to action for visiting a site. This One Liner is one of the Ad Paths you will use when allowing your customers branding rights (only in the MRR version). They will not be able to change it so your one liner will be shown to all the customers your customer have! Site Auto Open. You can enable this function and have Zip2Profit send the user to an url of your choice after each and every unzip. This can be very effective in some niches and you could use this to present special offers (and how about using some rotating content showing a new web page or new content after each unzip!). Secret File. You can tell Zip2Profit to keep a close check on all files inside the zip files. Using the Secret File option Zip2Profit will on your command open a file (you set the desired filename) when found inside a zip file. This is a golden opportunity for you as no other software in the world will do this, but you can start adding a special offer, invitation, bonus or why not a thank you note in all the zip files you do. 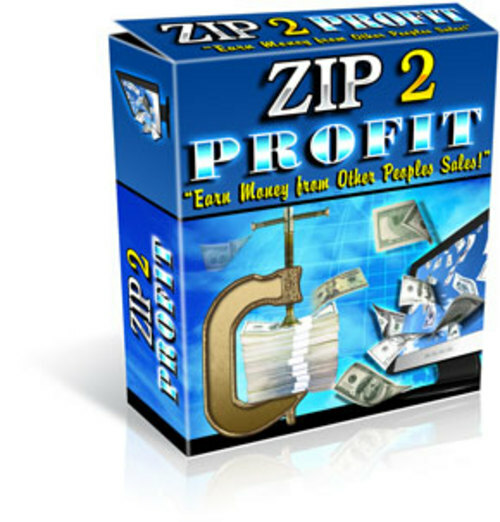 Zip2profit was created by me and I have all the source code to it. So I can assure you theres no adware, malware or similar hidden inside it. You can distribute your copies safely without worrying that your customers will have security programs popping up security risk windows all over the place. Theres only 1 file to give away. No changes is done on your customers computer. And Zip2profit only does one thing, It unpacks zip files! This makes it as close to newbie safe a software can come! Furthermore can you tell them that by downloading and using Zip2Profit they will see a web page each time they unzip a zip file and youll be having free gifts, reviews, signups to newsletters, software giveaways and whatever you can think of, on that page. They should keep looking as youll have special gifts there every now and then, bonuses and other things that would make them coming back and actually looking at the web page. Zip2profit with RR (Resell Rights). Allowing you to sell and/or give copies of Zip2profit away. Note! Only you can brand zip2profit. Speed Up My PC 2017 ! !